AT&T will purchase Time Warner for over $80 billion, the Wall Street Journal reports Saturday afternoon. “According to people familiar with the plans,” the two companies will likely announce this as soon as Saturday night. 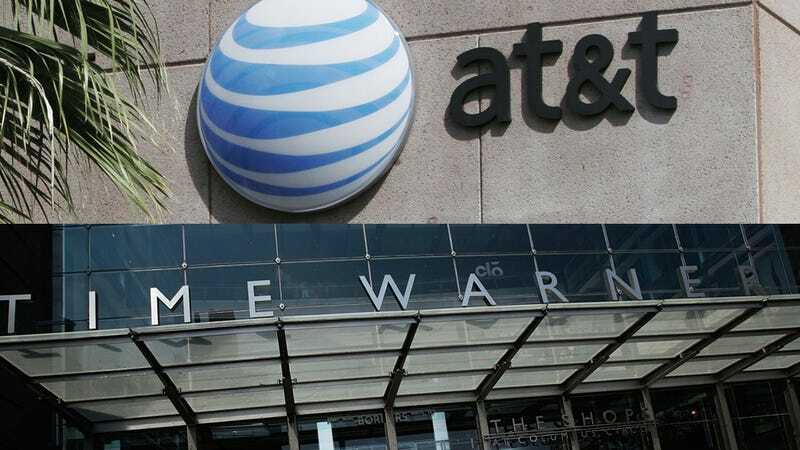 AT&T will reportedly pay between $105 and $110 a share for Time Warner. According to another anonymous source, the deal is half-cash, half-stock. This would be the biggest media merger since Comcast bought NBCUniversal, a merger that “regulators have indicated misgivings” about, so it’s unclear whether they will allow another deal of this magnitude. Massive companies merging is usually bad for consumers, as it gives mega-corporations tremendous control of the market. In 2015, AT&T acquired DIRECTV, which the FCC let happen only after the companies agreed to specific terms and conditions. One of the United States’ biggest wireless, internet and TV service providers merges with one of our biggest media conglomerates. What could possibly be bad about that?